Click here to view Sofisticato’s crackle variation. 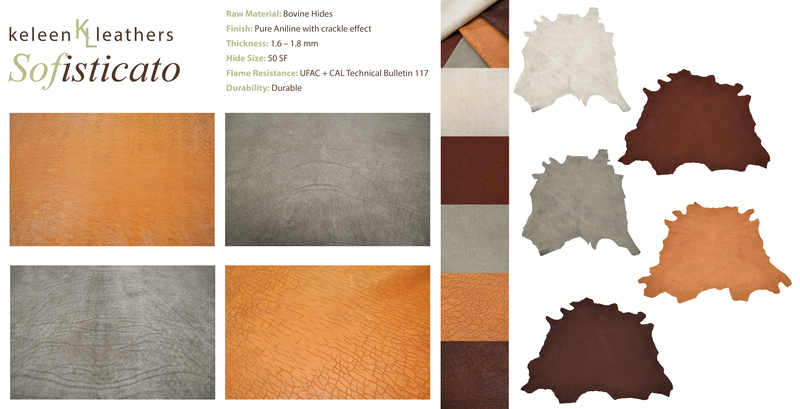 Sofisticato is distressed, natural leather produced on South American hides, though tanned in Europe. The tanning which creates the crackled look requires a very high level of sophistication, hence the name Sofisticato. Hides have a gorgeous rustic crackled appearance that doesn’t hide the beautiful, natural markings of pure aniline leather. Sofisticato will patina over time like any fine leather. The amount of “crackle” will vary as you move from one area to another within the hide. The leather is perfect for high end use.